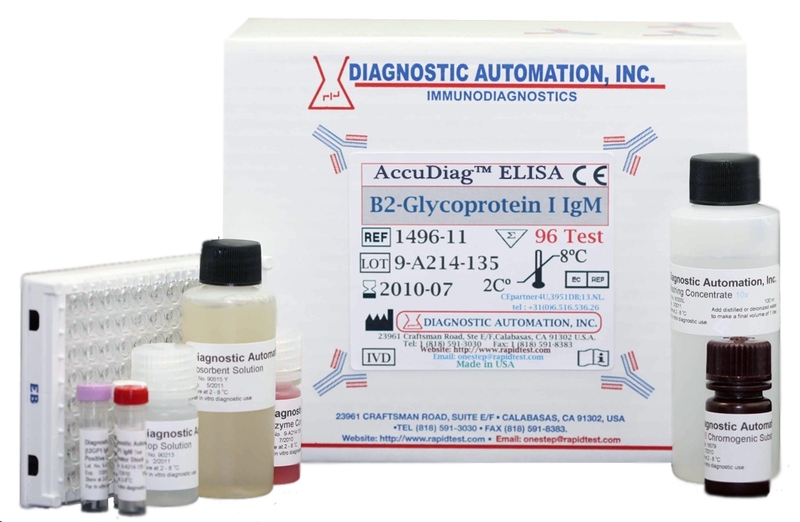 The Diagnostic Automation Myeloperoxidase (MPO) ELISA kit is intended for the qualitative and semi-quantitative detection of IgG-class antibody to myeloperoxidase in human serum. This MPO ELISA test is intended to be used as an aid in the diagnosis of various autoimmune vasculitic disorders characterized by elevated levels of anti-neutrophil cytoplasmic antibodies (ANCA). Antineutrophil cytoplasmic antibodies (ANCAs) are autoantibodies mainly IgG, directed against antigens found in the cytoplasmic granules of neutrophils and monocytes. Since their initial discovery, scientists have associated ANCA with a number of Systemic Vasculitides (SV). Two most common ANCAs are C-ANCA directed against Proteinase-3 (PR-3), and P-ANCA directed against Myeloperoxidase (MPO). ANCA testing is usually performed to help diagnose or exclude Wegener granulomatosis and microscopic polyangiitis. 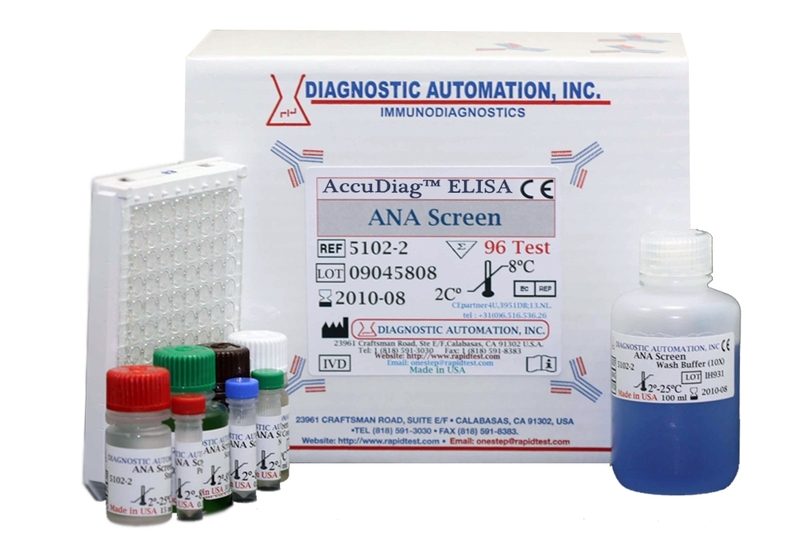 One of the most commonly used assay for ANCA is ELISA for ANCA both C-ANCA and P-ANCA. 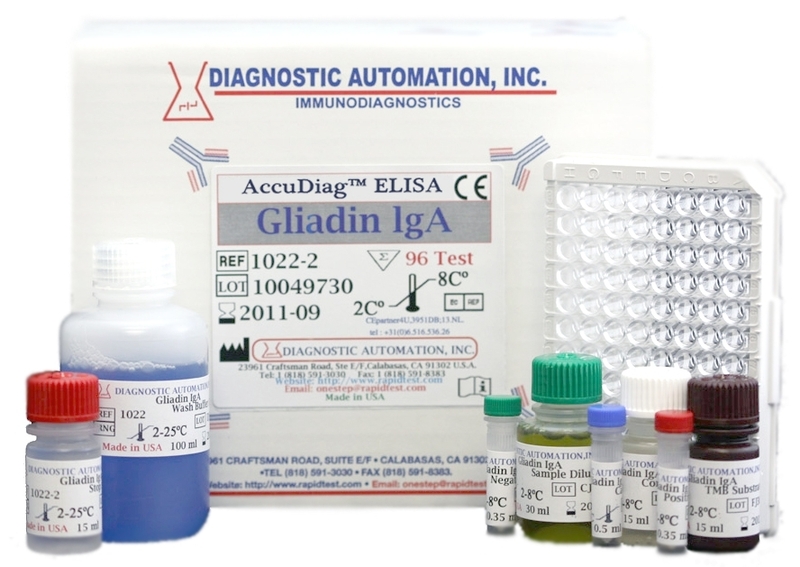 The Diagnostic Automation Myeloperoxidase (MPO) ELISA test system is designed to detect IgG class antibodies to MPO in human sera. Wells of plastic microwell strips are sensitized by passive absorption with MPO antigen. The Myeloperoxidase test procedure involves three incubation steps. For additional details please refer to the instructions for use. 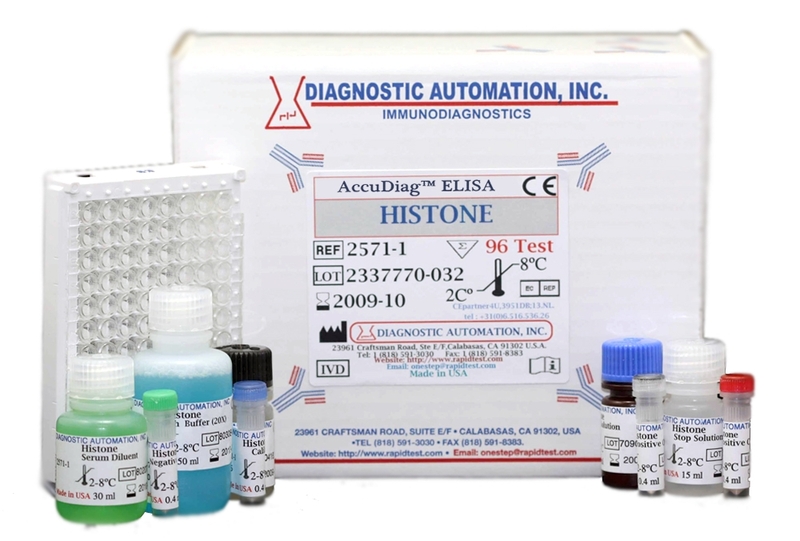 Product inserts for all Autoimmune ELISA kits follow a similar method. 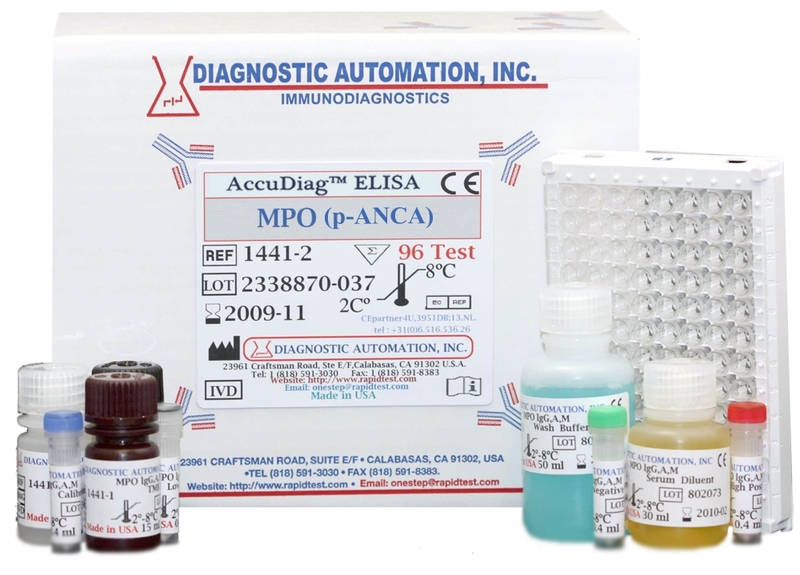 See the MPO (p-ANCA) IgG ELISA Kit product insert for specific details on preparation, procedures, quality control, and test result interpretation.